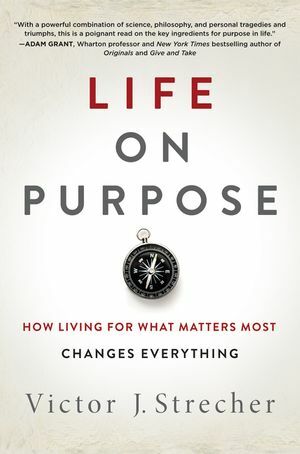 Going beyond the fads, opinions, and false hopes of “expert” self-help books, Life on Purpose explores the incredible connection between purposeful living and the latest scientific evidence on quality of life and longevity. Drawing on ancient and modern philosophy, literature, psychology, evolutionary biology, genetics, and neuroscience, as well as his experience in public health research, Dr. Vic Strecher reveals the elements necessary for a purposeful life and how to acquire them, and outlines an elegant strategy for improving energy, willpower, and long-term happiness, and well-being. He integrates these core themes into his own personal story—a tragedy that led him to reconsider his own life—and how a deeper understanding of purposeful living helped him not only survive, but thrive. Illuminating, accessible, and authentically grounded in real people’s experiences, Life on Purpose is essential reading for everyone seeking lasting improvement in their lives.